A chickpea leaps almost over the rim of the pot where it’s being boiled. You think I’m torturing you. I can’t do this by myself. Pluto’s glyph is the circle of spirit being cooked in the crucible. It represents the descent into the underworld, going into the darkness, confrontation with the shadow and facing one’s deepest fears. Darkness refers to what has been repressed or denied, and Pluto’s job is to call up the experiences that get us to look at these issues. Whether Pluto plays a prominent role in a natal chart or it is activating a personal planet/angle by transit, its strategy includes taking a person through something difficult they cannot prepare for or avoid. It is December 2002 and I’m sitting in front of astrologer Evelyn Roberts in her home on the central coast of California. A few months ago, I discovered the world of archetypal and psychological astrology. Evelyn’s been trained to interpret charts this way, and I want to experience the validity of it through my own chart. As we move into discussing my current transits, Evelyn begins talking about the Pluto cycle I’m in. The planet has been conjuncting my natal Moon in Sagittarius, and she tells me it is a time of significant transformation. We discuss the various possibilities of how I’m experiencing its impact. Health issues my mother (Moon) is having, a huge transformation my husband is undergoing (Moon as my 7th house/partnership ruler) and the unearthing of hidden inherited ancestral patterns (Moon in 12th house). For months, I’ve been feeling the transit as a great restlessness stirring within the recesses of my soul. Hours are spent in solitude, being in nature and communing with the land and animals in the isolated part of the world I’m living in. My dream world is extremely active, richly filled with intense symbology and I keep a journal devotedly. I dive into books on the soul; James Hillman’s “The Soul’s Code: In Search of Character and Calling,” and Thomas Moore’s “Care of the Soul: A Guide for Cultivating Depth and Sacredness in Everyday Life.” A part of me is longing for something I cannot touch or name. By all outer appearances, I have a “perfect” life and yet, deep within, something is missing. Literally, the year and 2/3rd cycle has shown up thus far as a major move with my husband from a home I lived in for 10 years and a city, spanning a big chunk of time since 1976. Salt Lake City was the place I called home and yet, I felt completely clear it was time to leave everything. The importance of deeply rooted relationships and a sense of security regarding my place in the community and my contribution to it, were values I was living my life by. Still, an urgency to answer the call to a journey into the unknown, relentlessly tugged inside of me and I knew I had to go. Continuing on with the transit investigation, Evelyn asks me how my marriage is going (again, Moon as 7th house ruler). “Great! We’re getting along just fine,” my response immediate and enthusiastic. “You must have a very strong relationship,” she replies. “Yes, we do,” I add, speaking with Sag Moon confidence. She seems impressed that this is so, and I feel good about it too. Together for 12 years so far, the longevity of our relationship is a done deal. Of course we are growing old together. Though referred to as “The Bickersons” from time to time, we are mostly viewed as an ideal couple and our affection for one another is apparent. The “D” word has never crossed our lips. But Pluto’s mandate requires that something will happen that you don’t know is going to happen before it happens. Four months after my reading with Evelyn, my husband tells me he thinks he wants a divorce. There, in the kitchen of our California Ranch home, the ground cracks open and the Underworld Lord seizes control, taking me on an unimagined descent into identity dismantling. Death was imminent, transformation necessary and eventually, rebirth happens. Over the next several months while we remain together questioning what action to take, I experience intense fears about my ability to survive without him. I struggle with the thought of losing my strongly held attachment to the role of being a wife. I want our marriage to work and yet, I feel the burden of responsibility is on me to make the necessary changes and I don’t know if I can. Laughter leaves me, crying takes its place. Counselors are seen, while my own work as a therapist becomes increasingly difficult for me to handle. Plutonian issues are at the heart of what’s come between us. They’ve been mostly swept under the rug, largely ignored ’til the one day, when the Underworld deity walks into the house bringing chaos and disruption, demanding to be dealt with, once and for all. One version of the Sumerian myth of Inanna, Queen of Heaven, says she descended from the upper realms into the Underworld, out of her own curiosity. Another says she went there out of obligation paying respects to her sister, Eriskegal, Ruler of the Underworld, whose husband had just died. As Inanna makes her descent, she is forced to relinquish her crown, jewelry, robes, etc…all that she holds dear to her and the way she identifies herself. Standing naked before Eriskegal, Inanna is met with a stone-cold stare, and all life leaves her. Eventually, she is rescued and brought back to life, into the upper world. In the first version, Inanna’s descent is consciously made. Perhaps there is something potent she is seeking in this unknown place. In the second, Inanna also willingly goes, but this time she travels into this realm out of obligation. A third and later version from Greek mythology, tells the story of Persephone, a young maiden kidnapped one day while she is walking with her mother, Demeter, through a field of flowers. 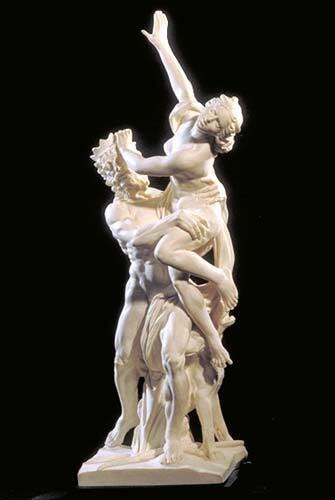 Unexpectedly, the ground opens up and Persephone is kidnapped by Pluto, Lord of the Underworld. While there may be a part of our psyche that is curious about what is hidden in our unconscious, or some compelling drive urges us to go there, what is more often the case is our protective egos would rather continue operating from a place of safety and security. This is why Persephone’s version is more closely aligned with the initiatory experience of a transiting Pluto cycle. The message is the same for all three versions and ultimately it is a story about the cycle of death, transformation and rebirth. 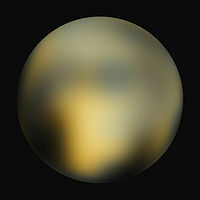 Pluto takes us into an unknown zone, one of chaos defined as total disorder or confusion. Whatever ego structures one has in place before a Pluto cycle begins, the intent of the initiation is to dismantle that which is standing in the way of us claiming our power more fully. The end result of the cycle is increased self-power, but the strategy operates initially through an intense loss of it, and an acute perception of what is missing. The experience causes us to fully claim what is most important to us by the painfully felt awareness of its lack, and by circumstances beyond our control. 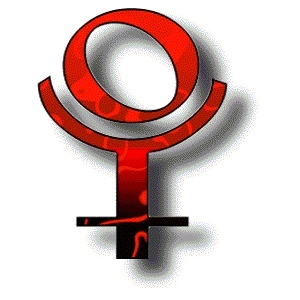 As in the law of nature, Pluto represents what is organic and impersonal. Whatever is out of balance, Pluto’s job is to restore it, regardless of the crises and destruction it may bring. The deepest core of our being will be challenged in an area of life containing our most important issues. Pluto losses can range from physical ones to historically held onto beliefs and ideals. These cycles require a person to feel their feelings by producing dramatic experiences beyond their control. During these times, the power of positive thinking and affirmations can feel like ridiculous new-age tripe. Watching an Abraham-Hicks video whose message is to “Get Happy” can easily illicit fantasies of throwing darts at Esther. Etherial Enya and all higher chakra, angelic music is replaced by a wailing Sarah McLachlan, angry Shawn Colvin or anything tribal and lower chakra infused. One of the ways to work with a Pluto cycle is to ask the question and make a list of “what is the worst that could happen?” Whether you are in a cycle currently, or about to enter one, making this list calls out the deepest fears, acknowledging and bringing them to light. Oftentimes, what happens is something that didn’t make the list, and thus, the paradox of these transits is that it is difficult to prepare for them. In the first phase of a cycle, powerlessness is the dominant feeling. Depression may be present. Engaging the dark force or one’s demons requires serious courage. 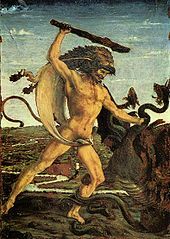 It’s important to ask, “What do you want of me?” The beast appears to be real, and like the story of Hercules and Hydra, each time we try to cut off the creature’s head, three more grow in their place. Although it is helpful to dialogue with this force, we cannot address Pluto cycles with our minds, there is no logical way through this passage or out of it. It doesn’t mean that we can’t call on our Witness Self to realize that we are a Self, having this deep emotional experience. It just means that the only way to “kill the monster,” is to go into the watery realms and be willing to meet her there. Shamanic Breathwork, Process Work, and Expressive Art Therapy are excellent ways to connect with the feelings that need to be honored. It is only in the embracing of deep feeling – whether it is excruciating pain, loss, jealousy, betrayal, abandonment, loneliness and intense fear, that the unconscious material is being met, cared for and given what it needs. Thus, the possibility for transmuting that which is still running some part of us, keeping us from further integration and wholeness, is present, and we rise again from the ashes, powerful and strong. Sometime during my cycle, I make a major shift. I realize that I am not solely responsible for the issues on the table and that there will be changes required for both of us, if we are to stay together. I begin asking the question, “Do I want to stay in this marriage? What is it that I truly desire? I explore what it is I need in our relationship and what I feel needs to be done to create a balance of power and control. I recognize what I’ve repressed and what I long to experience in a partnership. Another major move occurs, more counseling, further questioning. Power struggles continue. Two months after my cycle completes, I know what I must do. I summon the courage and power to leave. I don’t know how I will make it on my own without him, but I’m willing to take the risk and find out. I’m willing to see who I am, separate from him, and experience the freedom to follow my heart, wherever it leads me. Within another six months, an agreeable dissolution of our marriage contract is reached, and the courts declare us legally divorced. On the morning of July 4th, 2004, I find out I have “officially” birthed myself into a new life. “Making the Gods Work For You.” Caroline Casey, 1998. “The Shamanic Astrology Handbook: The Archetypes and Symbols of the Signs and Planets and Their Role in Shamanic Astrology.” Daniel Giamario with Carolyn Brent, 1994. “The Gods of Change: Pain, Crisis and the Transits of Uranus, Neptune and Pluto.” Howard Sasportas, 1989. Have you gone through a Pluto Moon Initiation? I’d love to hear your comments about how this transit has played out for you! ******Please note: The ads by google you see below are not put there by me, and are created by WordPress.com. They do not necessarily reflect my point of view. 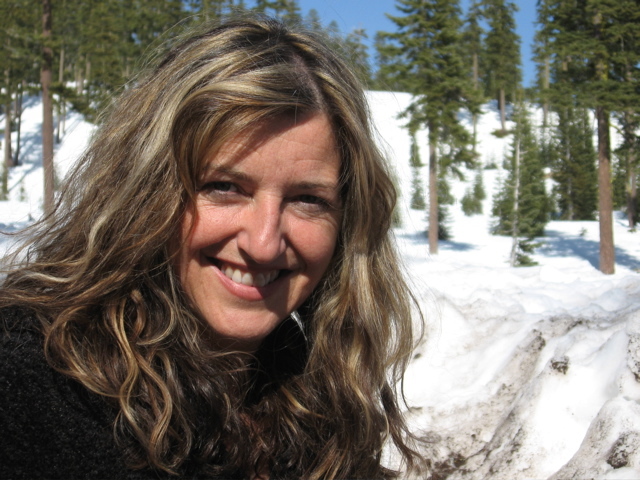 thank you Holly… this is a very nice article… pluto always so timely. I am so pleased to have come upon this right now. This is my life as a Capricorn leaving a 20+ year relationship / marriage & having to face my new life with fearlessness. I’m an Ace of Spades yet & I’ve spent my entire adult life expressing the opposite of Ace energy–fear, clinging & stasis. Thank you so much for articulating Pluto’s demands.